Mathare Social Justice Centre (MSJC) is an initiative by young members of the community to promote social justice in Mathare. For years Mathare has been a place where much violence has been allowed to go on without any redress for the community, especially as most continue to live in fear of consequences of standing up for their rights. These forms of structural violence include, but are not limited to, land grabbing, forced evictions, police abuse and extrajudicial killings, political impunity, and other economic, social and psychological violations. 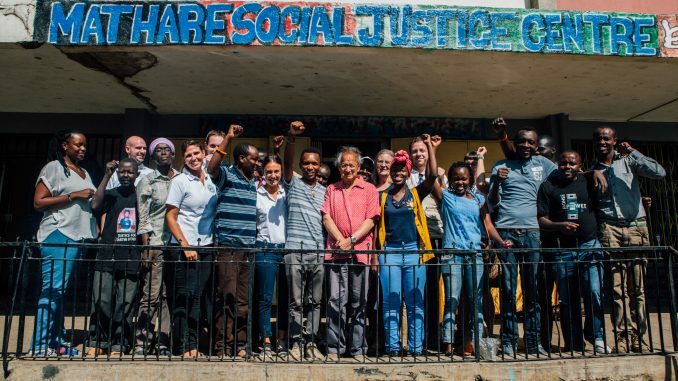 In view of this ongoing situation, a collective of young community members and experienced social justice activists in Mathare came together to envision a centre that would promote more participatory forms of justice. While these issues have each received their own campaigns, we felt in light of the ongoing brutality of police killings in Mathare and surrounding areas, that we focus on the need to unsettle how police killings have become “normalized” in Kenya. We did this through participatory action research (PAR), along with our PAR co-ordinator, Wangui Kimari, and Associate Professor Peris Jones, but especially through the efforts of our members who painstakingly documented – at personal risk – over 50 cases alone in Mathare in recent years. The report, “Who Is Next? A Participatory Action Research Report Against the Normalization of Extrajudicial Executions in Mathare” (also available here), is the culmination of this year-long collaborative documentation project by Mathare residents of extrajudicial executions and their impact in the community. Our efforts have already had an impact, not only by producing research that is for and from the community, but it has also fed into a national campaign against extrajudicial executions, and through which we hope the issue will receive the belated attention it so desperately deserves. 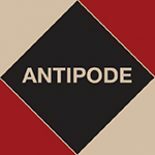 We are extremely grateful for the Antipode Foundation’s support! We hope this finds you all well. Tunawagotea sana from Bondeni, Mathare! We would like to take the opportunity to share some of what we have been up to this year. Since we launched our Antipode Foundation-supported report on extrajudicial killings in Mathare in May 2017, Who is Next? A Participatory Action Research Report Against the Normalization of Extrajudicial Executions in Mathare, we continued to document cases of police brutality during the two (yes two!) election periods — between the first election date of August 8th and the repeat presidential election of October 26th. We documented many cases during this time, together with Human Rights Watch, Amnesty International and Kenya Human Rights Commission. These include the cases of 9-year old Stephanie Moraa Nyarangi and 17-year old student Silas Lebo. Unfortunately, in the course of this work a few of our members, including our administrative coordinator, were harassed, detained and threatened. And it was only because of the support you gave to us that they all — Stephen, JJ and Kanare — were released. Thank you! 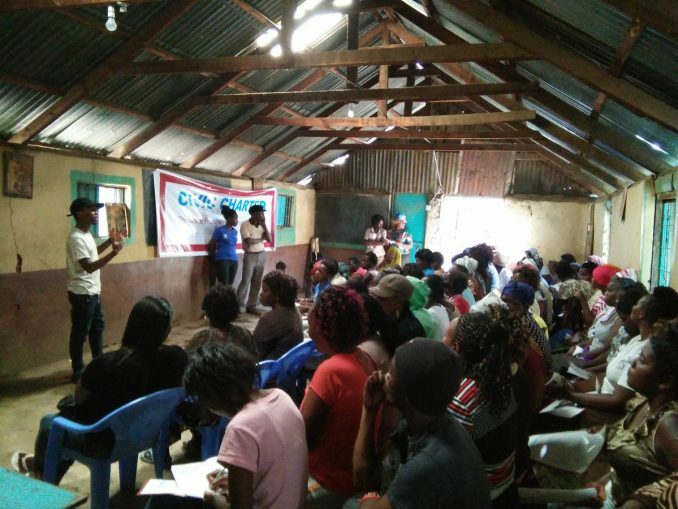 We have also been organizing around our reproductive justice campaign in Mathare, and we have used community events like these to raise awareness about the Civic Charter. In addition, through funding from the Norwegian Human Rights Fund (NHRF), we have combined work on grassroots human rights defender protection and community voting rights before the elections. Mid this year we also started a movement called the Mathare Green Movement (MGM), and this is our campaign to plant trees around Mathare for community food, medicine, memory and healing. 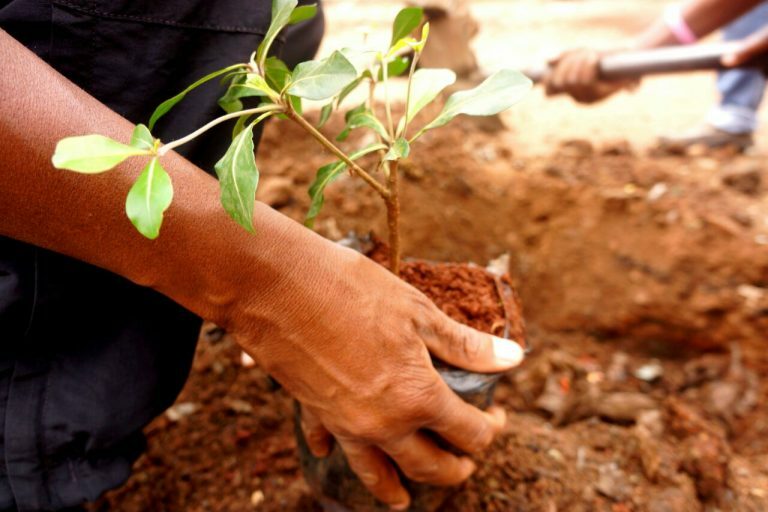 We are actively looking for tree seedling donations for this campaign and so please do feel free to drop off tree seedlings at our office if you are able to do so. In addition, we have a safe spaces program for young people every Saturday, and now every day during the November/December school holidays. A volunteer teacher comes to engage the 40 young people, between ages 6 and 17, in dance, acting, social justice and even in planting trees. At the moment, while we have the space and the volunteer teacher, we unfortunately do not have the small resources needed to give the young people a snack during these safe spaces sessions. If you are able to make a non-perishable food and drink donation and/or book or art supply donations, please feel free to drop these off at our office in Bondeni, Mathare. This year we have also had members who attended and will be attending the Nkrumah School for Pan Africanism political education course in South Africa, and the Movimento Dos Trabalhadores Sem Terra (MST) month long political education training in Brazil. Above all, we have also sought to join forces with many local grassroots groups, in Mathare and beyond, and continue to do so through our monthly community dialogues. Looking towards 2018, we intend to do a people’s environmental audit of Mathare. We realized that we needed a more participatory and intersectional environmental survey that connected all of the environmental issues faced locally (away from the very scientific ones produced on one issue like, for example, air pollution, etc.). Through this people’s environmental audit we want to connect many issues: from cholera to skin diseases, to lack of sanitation facilities to flooding, river pollution and tree planting, and other issues that affect our community. 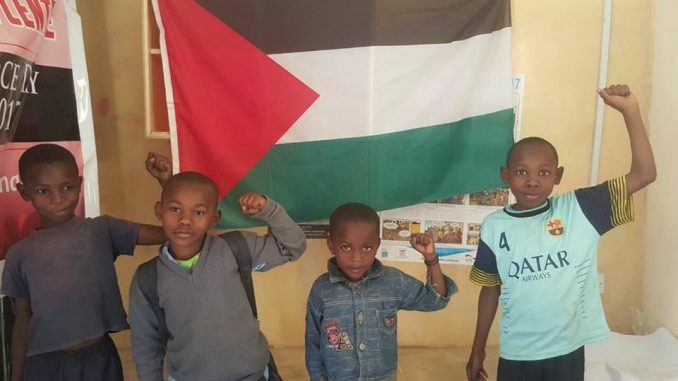 We also look forward to doing more work for Palestinian solidarity, as we did earlier this year, together with the Kenya Palestine Solidarity Movement. While an update, we would also like to take the opportunity to say thank you all for your support this year. And especially to the following people/organisations: Yash and Jill Ghai, Katiba Institute, Marcella Favretto and the OHCHR, Abdullahi Boru, Kamau Ngugi of the National Coalition of Human Rights Defenders-Kenya, the Kenya Palestine Solidarity Movement, the Antipode Foundation, Peris Jones, the Norwegian Human Rights Fund, the BIEA, IFRA, Ghetto Foundation, PBI, Oyunga Pala, Naomi Van Stapele, Anneke Osse and PAWA 254. And always a big thank you to the revolutionary Mathare spirits and people who struggle everyday and inspire us. Viva MSJC and Viva MSJC friends! We look forward to another year of justice, learning, solidarity and planting more seeds together.